Your mind is your most powerful tool. 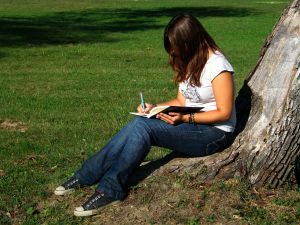 Use journaling to understand yourself better and your thoughts. Help reduce stress and gain some personal insight. Notice patterns and adjust your attitude to focus more on positivity. Helps to get things out. Write as if you’re talking to yourself. Vent away. Releases what’s pent up inside of you. There are no rules. You can journal about anything you want, whenever you want. make a collage, decorate and let your creativity through. Your ideas will start flowing as you go. Make it fun! In the meantime, if you don’t yet have a journal of your own start browsing journals here.